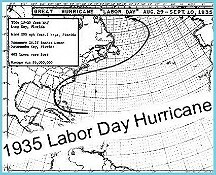 Hulacane | Florida Keys News.. Key West Register | Stocks | Key Largo.US News | Islamorada.US News | Marathon News | Key West News | Food & Dining | Entertainment | Keys Fish Journal | Dive Info | Community | Sharkfest | Store | Opinion | Classifieds | Contacts | KW Inst. paradise... and put up a parking lot..."
Village setup to ban Mc & setup a Pay Park! But ... 'Purple Haze Village of No Sewers'...? ...KWR's Editorial Board offers its e'lection recommendations to provide information that isn't readily available to many voters. The board does analysis on their character, background and opinions. Board members review public records and files of news on the candidates' records. The board also talks to people who know the candidates. Many voters have neither the time nor opportunity to make a thorough investigation of every candidate. Recommendation editorials are intended to give readers the benefit of the editorial board's research.time nor opportunity to make a thorough investigation of every candidate. Recommendation editorials are intended to give readers the benefit of the editorial board's research. Note: in your email 'Subject Line' type the words: "A Liitle Purple Spot in the Gulfstreamä" and paste or type your paragraphs in the body of your email... no attachments are accepted. Islamorada Landmarks? "See you in Key West!" (d) Proof that any elector, election official, or canvassing board member was given or offered a bribe or reward in money, property, or any other thing of value for the purpose of procuring the successful candidate's nomination or election or determining the result on any question submitted by referendum. (e) Any other cause or allegation which, if sustained, would show that a person other than the successful candidate was the person duly nominated or elected to the office in question or that the outcome of the election on a question submitted by referendum was contrary to the result declared by the canvassing board or election board. WEIRD-SHOTSä Not Just a Seasonal Thang! 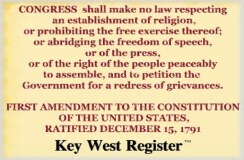 Monroe County records "Tree of Knowledge"
keywestregister.com - Key West Register are Trademarks of Key West Register Corp.
such statements are only predictions and actual events or results may differ materially. In evaluating such statements, investors should specifically consider various factors, which could cause actual events or results to differ materially from those indicated from such forward-looking statements. The Company undertakes no obligation to publicly release the results of any revisions to these forward-looking statements that may be made to reflect events or circumstances after the date hereofor to refledt the occurrence of unanticipated events. © Copyright 2019 & Trademark of Key West Register Corp. by Key West Register Corp.